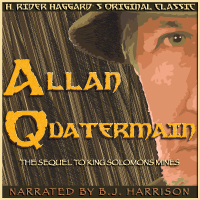 Haggard wrote Allan Quatermain immediately after King Solomon’s Mines, though it takes place at the chronological tail end of Quatermain’s adventures. He has just lost his only son, and is now wearied with the traditional English lifestyle. He longs for the wilds of Africa. 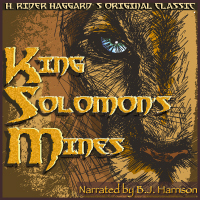 He convinces his friends Sir Henry Curtis and Captain John Good as well as the Zulu chief Umbopa to return to Africa in search of a fabled race of white people. Fierce Masai warriors, subterranean rivers, creatures from the deep, and a spectacular civil war are all in store for our seasoned adventurers. It’s an adventure you won’t want to miss! From Wendalynn Donnan of Waldheim, Saskatchewan on 2/20/2018 . This is a great recording! 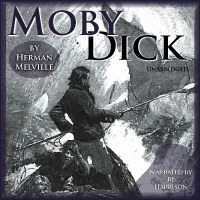 I have not read the work previously so this was a fantastic way to try something new. Thank you, BJ, I enjoy the work you do.